They’re short; they’re long. Some are poems. They’re all sad. Teens living through serious adversity because of interactions with their own troubled parents, and young adults struggling with memories as they live out the consequences of a troubled childhood. It’s a window into the lives of families that need or needed help. These are stories that are all too familiar to teachers, counselors, and social workers. 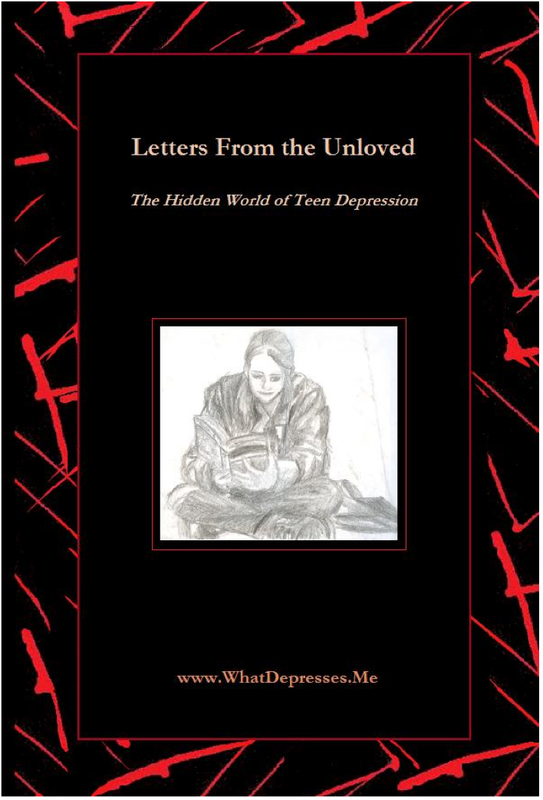 The letters are among hundreds sent over 10 years from teens and young adults around the world to two sites: EQI.org (“a place where you can find useful, practical and important information about emotions and life”) and WhatDepresses.Me. Steve Hein, who runs EQI.org, says that he and the woman who manages WhatDepresses.Me (and who prefers to not be named in this post — here’s her story) obtained permissions when they could. If the email addresses weren’t valid when they tried to contact the authors and the letters were from people under 18 years old, they changed details to protect the identities of the authors. Indeed the pain that so many are living with is often unbearable. I happen to work in a region with a high youth suicide rate and have been grappling with many of the same questions and frustrations others have shared. Recently at a training on the impact of trauma on the brain, I learned that we experience social exclusions and rejection in the same part of our brain that reacts when our life is in danger. In short, social rejection=perceived death. Ego death, I believe is often a strong catalyst for suicide or homicide. The fear and shame of being unloved and unwanted trumps an individuals capacity to pursue a pathway of resilience. How can we help support the development of ego strength in those impacted by familial rejection and abuse? If you have read Clan of the Cave Bear by Jean Auel you’d recall that the main character is socially, sexually, and emotionally assaulted and abused by her neanderthal tribe who adopts her following the death of her mother during an earthquake. The books follow her heroic story of how she continued to choose resilience in spite of receiving so little connection or love, and how she fought to remain in her tribe as a means of having access to food, safety, culture, ‘family’, love, joy, sharing-all the things we all need as part of basic human survival. Did you now that babies and children who aren’t hugged and held, don’t physically grow? Hugs are good vitamins. We currently live in a society which is set up for constant comparisons and intense social competition, absent working parents or parent, and a shrinking of social skills (the lack of Emotional Intelligence referenced above). I still say media is a powerful social ill, convincing children and vulnerable adults that other people are living much more exceptional lives than themselves. The search for significance would appear brutal. Then we find ourselves, as professionals or helpers in our communities, ill-equipped to respond with little more than empathy or sympathy. The culture of awareness and skills to respond which Jim created at Lincoln High is such a helpful template. The Sanctuary Model of trauma-informed care is another helpful tool that can teach communities and individuals HOW to respond (not fix, save or rescue-empower!) to the pain we see in youth and adults impacted by trauma-and as we are becoming increasingly aware-that also means US. Professionals with high ACE’s and lived experiences who are slowly beginning to share what we’ve each learned by walking through our own pain. This gives me hope. I rest on hope. As a school psychologist, there is not a day that passes without at least one emotionally hemorrhaging child in my office. So often, when adults are confronted with the stories such as you’ve shared, the typical response is “That is just so sad.” Personally, I find such a passive, pathetic response woefully lacking in any sense of righteous rage for the pain and terror that lives inside the story. Betrayal of a child’s innocence is morally reprehensible, a crime against humanity, and the Ground Zero of human injustice. Sad? when a young life has been cut to the core? Each and every one of these stories should be any empathetic human being’s clarion call to action. I have heard similar stories from students at Lincoln. This powerful article that Jane has written is a reminder to all of us that we have to many children and adults in our communities that live with these deep scars and bleeding wounds. In our school system they manifest their pain in ways that bring judgement, labeling, and rejection. We must seek the cause and not punishment which only adds to their pain. Through a caring adult relationship, we have opportunity to help guide these wounded victims to the path that leads them to becoming the beautiful person they were meant to be. It is never easy to read the raw pain that is branded on the innocent which brings guilt and hopelessness. The Ace Study gives us a roadmap in which we have opportunity to use the knowledge and information to demonstrate value and worthiness….which can lead to hope. Thanks for your affirming comment. And thanks for caring about the students. Keep up the good work. I feel inspired and encouraged by you.